Just a generation ago, October belonged to the colors of fall, when “every green thing loves to die in bright colors,” as Henry Ward Beecher said. (Growing up back East, you read a lot of odes to fall foliage in school.) For years after moving to the Bay Area from Pennsylvania, I felt a twinge of melancholy when October rolled around, knowing the once-demure woodlands would let loose in a fleeting blaze of brash reds and orange-tinged yellows without me. Even raising money isn’t enough. You have to ask where that money is going. It’s a message that gets lost in an ocean of pink-ribbon products (from bagels and teddy bears to vodka and wine glasses), even though critics like the San Francisco-based nonprofit Breast Cancer Action have warned about “pinkwashing” for years, urging people to look behind the feel-good messages to see who’s really benefiting from the commercialization of cancer. The group also urges companies to be more transparent and has long called out those it believes use a good cause to increase their bottom line. Like Eureka, which donated a dollar for every vacuum cleaner sold in its “Clean for the Cure” campaign. Or American Express, which donated a penny per transaction in its “Charge for the Cure.” Both companies bowed out of the pink sweepstakes after Breast Cancer Action asked just how breast cancer patients were benefiting from the campaigns in a 2002 ad in the New York Times. participate in its ”Stop Cancer Where It Starts” Campaign. (without acknowledging their limitations) while ignoring prevention. But even when money goes to breast cancer programs and not corporate coffers, is it going to the right place? Love (and several advocacy groups) has said for years that we need to shift our focus from cures to causes—and prevention. 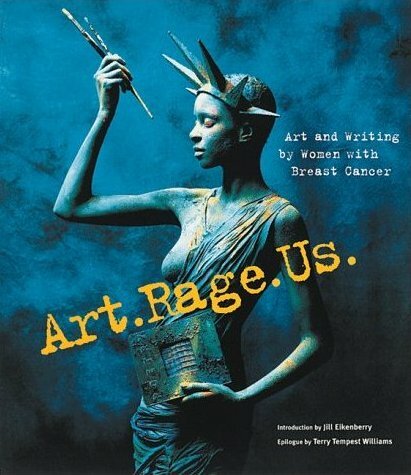 artists and writers to submit work about their breast cancer experiences. Claymon died of breast cancer in 2000. She was 61. Prevention is also a primary concern for the Athena Breast Health Network, a partnership of the five University of California medical centers that collects personalized data on breast cancer patients to optimize treatment and ultimately figure out how to stop cancer before it starts. The site also includes a comprehensive list of breast cancer risk factors. The recent study on breast density showed us, yet again, that women who are obese when they are diagnosed with breast cancer are more likely to die of breast cancer than women who are not obese. Doctors need to do more than tell women about their breast density or remind them to get a mammogram. They need to be teaching women the importance of exercising, losing weight (if necessary) and eating a well-balanced diet—both before and after a breast cancer diagnosis. 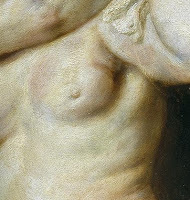 and Orpheus and Euridice, show signs of breast cancer. breast volume as well as axilar lymph nodes. It’s also worth remembering when you see all those pink ribbons that there’s a difference between being a “survivor” and being cured. If you’re alive five years after a diagnosis, you’re considered a survivor. It’s a useful time frame for clinicians to compare the effectiveness of different therapies. But that doesn’t mean you’re cured. And as a 2000 JAMA study points out, when five-year-survival rates increase, it might be because more cases are being diagnosed, not because treatments are saving more lives. Breast cancer death rates in the United States have declined over the past 20 years, though African American women still face a greater risk of death than any other group. It’s still the most common cancer among women. It’s still one of the leading causes of cancer death among women. And it’s still the disease women fear most. Close to 40,000 women are expected to die of breast cancer this year, about 3,000 fewer than died in 1991—the year my mom got her diagnosis. She wore a little pink ribbon pin for a while. But after about five years, she grew weary of the pink propaganda. And though she’d never say so, she also grew weary of the seemingly endless rounds of tests, procedures, surgeries, and chemo. I know she grew tired of the pain. Ten years ago—a little more than five years after she was officially a “survivor”—she died of breast cancer. Now, when October rolls around, I feel no wistful melancholy for spectacles missed. I’ve got a much deeper loss to consider. And it makes me angry. I’m sick of the pink ribbons and the suggestion that bright colors can bathe cancer in a cheery, comforting glow. There’s nothing cheery about breast cancer. There’s a lot of pain, suffering, and fear. When pink stands for taking real action against breast cancer, I might start to see October in a whole new light. Breast Cancer Action. Its latest campaign (“It’s an Epidemic, Stupid!”) calls on elected officials to develop a series of actions against breast cancer, including developing tougher regulations on potential carcinogens and supporting research into root causes as well as less toxic therapies. Pink Ribbons, Inc. a feature documentary on breast cancer marketing campaigns.